MUMBAI: The mysterious Big Pineapple grew up on a remote island where he was left as a baby. Growing up there he made the most out of his lonely situation, mostly making toys and later on art from the pineapples he was surrounded with. A few years ago he met a stranger who showed him the wondrous world of electronic music. He fell in love with the sound immediately and decided to dedicate his life to making music. Years pass. Until one day that stranger saw his dedication and hard work and decided to take him under his wing. That stranger is also known as Don Diablo and the rest is well about to be history. Another Chance is the first official release but fear not, this is only the start. 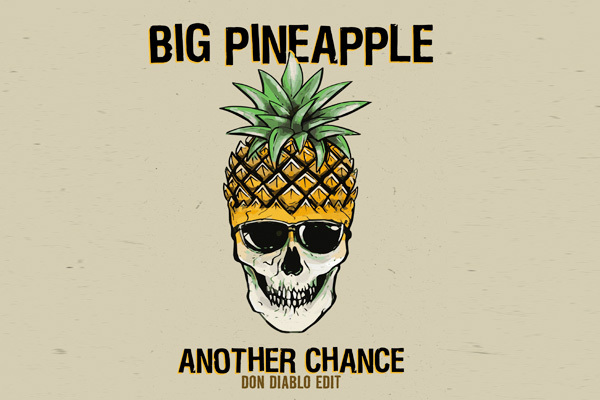 Inspired by Roger Sanchez's Another Chance which hit number one in the UK charts in 2001 and includes a sample from Toto's I Won't Hold You Back, the track is a nod towards the house sound of the early noughties mixed with Don’s trademark future house touch. MUMBAI: Junior Sanchez is a legend in the house music game, with remixes and collabs for and with the likes of Daft Punk and Basement Jaxx and countless releases on the scene’s most important labels. MUMBAI: Christian and Alan Anadon, better known as Mambo Brothers will make their long-awaited debut playing at the infamous Café Mambo Ibiza, where they will host their own party together with a special surprise guest each month during this Ibiza Summer season. MUMBAI: Fête crashes into life while the chattering snares keep the rhythm flowing. It’s modern tech house done very slickly indeed but with enough spice to keep things interesting.